St. Paul's is a Right to Life Parish. We warmly welcome you to our Parish. Call the Parish Office to register. 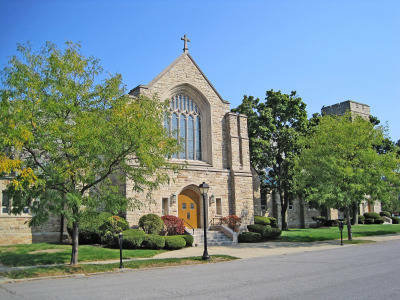 St. Paul's Parish is a Eucharistic community of baptized followers of Jesus Christ in the tradition of the Roman Catholic Faith. We promote spiritual and personal growth by challenging all to ongoing conversion. Led by the Spirit, we celebrate the presence of Christ in our lives by proclaiming the gospel, providing Sacramental life, and striving to discover the use of our gifts in loving service. Please remember to make your pledge/contribution to our Capital Campaign for our new building. This is an ongoing drive until we make our goal. Your donation is greatly appreciated. For more information or questions please contact the parish office at 716-875-2730- Option 3. Are you looking for a modern state of the art hall for a special event or a meeting. Check out our new hall to see if it meets your need. Contact Carolyn Nye, 716-875-2730 option 3 for information and a tour. Apr 24 2019 1:00 pm - Senior Group board mtg. Confessions: Saturdays 4:00-4:30pm or anytime by appointment.